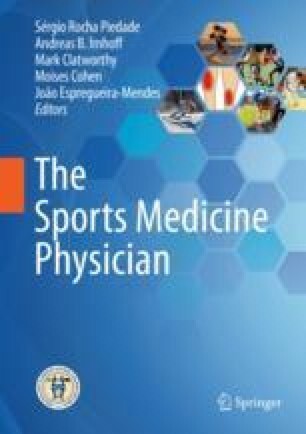 The Female Athlete Triad and Relative Energy Deficiency in Sport are clinical syndromes that have evolved over the past two and half decades, relating energy availability to health and performance deficits in athletes. It has become evident that low energy availability predisposes athletes to possible physical injury, systemic pathology, psychological stress, and poor athletic performance. There are many tools available to aid in the diagnosis and treatment of athletes suffering from relative energy deficiency; however there is no gold standard for the diagnosis of low energy availability. The key to preventing illness and injury includes screening for those at risk and early diagnosis; utilizing the available tools and various providers, through pre-participation physicals; and monitoring throughout training. A team approach to treatment is essential, including physicians, dieticians, psychologists, athletic trainers, coaches, parents, teammates, and active involvement of the athlete. Drinkwater BL, Loucks A, Sherman RT, et al. IOC medical commission position stand on the female athlete triad. Medical and Scientific Commission, International Olympic Committee; 2005. https://www.olympic.org/news/consensus-statement-adopted-on-the-female-athlete-triad. Accessed 4 Mar 2018.